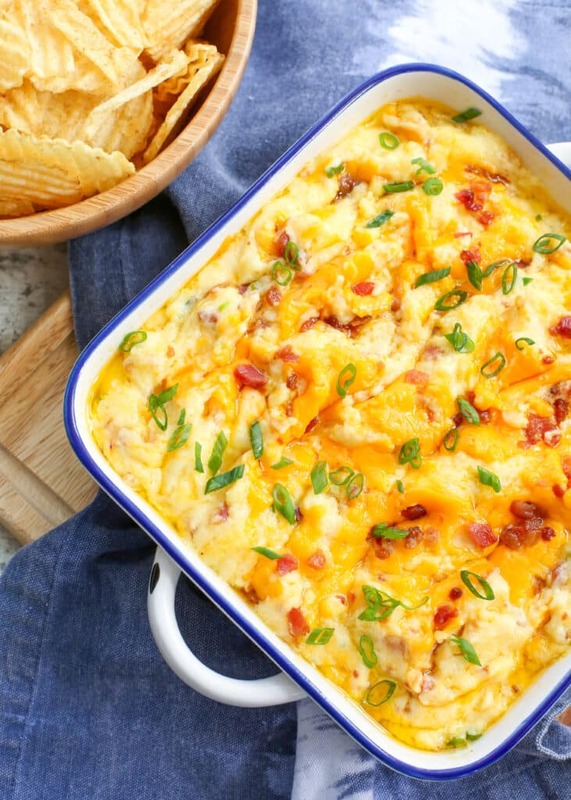 Creamy, buttery, cheesy potatoes with bacon are a guaranteed touchdown for your football party. Everyone knows that potatoes and sour cream go together like football and snacks. And you know, the better your snacks, the better your team’s chance of winning. When Shamrock Farms asked me to create a game day recipe to share with you, I immediately started thinking about some of our favorite snacks. 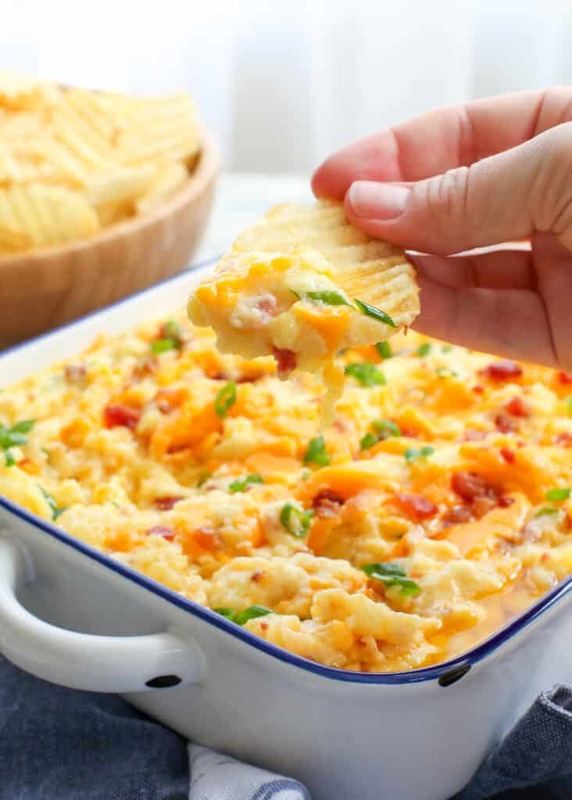 My family is all about dippable foods and when I had the idea of a cheesy potato dip for potato chips? I was all over that. To make twice baked potatoes, first, you bake the potatoes, then you slice them in half, hollow out the centers and combine that fluffy baked potato with sour cream, butter, and cheese. 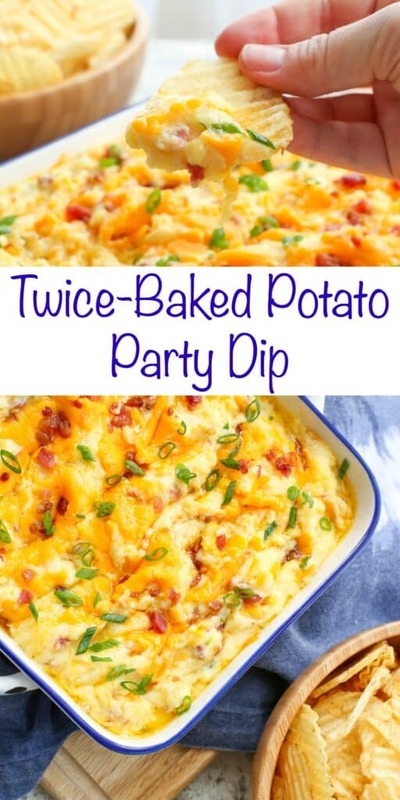 The filling is my favorite part of twice baked potatoes and that was the inspiration for this Twice Baked Potato Dip. Served with sturdy potato chips or eaten with a spoon, this is the mashed potatoes of my dreams. Potatoes + Potatoes + all the delicious dairy + bacon?! What’s not to love about this combination? 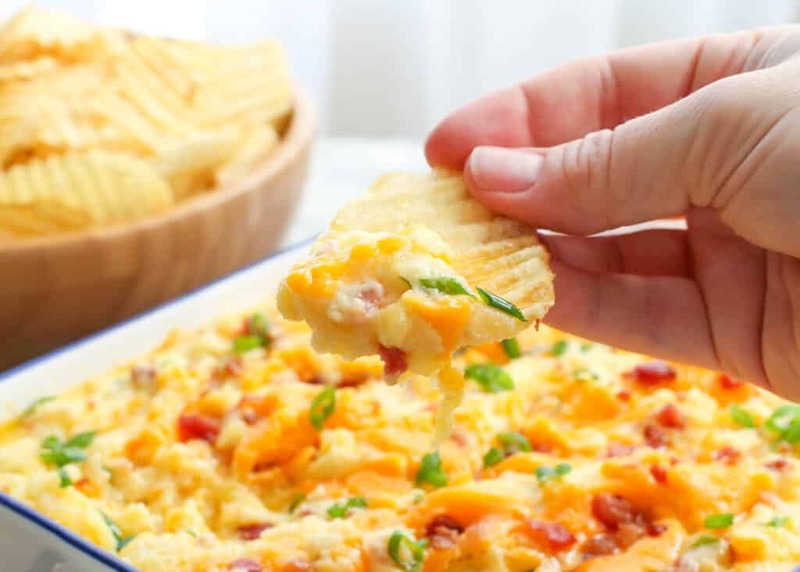 Perfect for game day or pretty much any other occasion, Twice Baked Potato Dip is going to be the big favorite for your next event. Judging by how quickly this disappears when I make it, I can pretty much guarantee it. Even if your team misses the Hail Mary pass, these potatoes will ensure your party is a winner! While we all know that dairy is an excellent source of protein, what you may not know is that Shamrock Farms is a longtime partner with Arizona Athletics, both with the University of Arizona and Arizona Wildcats. Shamrock Farms provides the (sidenote here: DELICIOUS) Rockin’ Protein for the athletes. Beyond just the campus programs, Shamrock Farms also will be donating 50,000 servings of milk to the Community Food Bank of Southern Arizona this year alone. Shamrock Farms will be hosting the Protein Pushup Challenge at the upcoming Duel in the Desert game between UofA and ASU on Saturday 11/24/18. For every pushup done within 30 seconds, Shamrock Farms will donate an additional serving of milk. You can join in on that fun by showing how many pushups you can do and sharing on social media using #ProteinPushupChallenge. While anyone who knows me knows that my own attempt at those pushups wouldn’t amount to a huge donation. However, my guys are going to do the challenge next Saturday. Sean and the older boys are CrossFitters and Rockin’ Protein is a great post-workout protein drink. Preheat the oven to 400°F. Place the potatoes on a baking sheet and poke holes in each one with a fork. Bake for 60-75 minutes, until soft. Remove the potatoes from the oven and reduce the oven temperature to 350°F. Let the potatoes cool for a few minutes before slicing in half. Hold the potatoes with a hot pad and scoop the potato centers out and into a large mixing bowl. Discard the skins. Add the butter, sour cream, 1 cup bacon, 3/4 cup cheese, salt, garlic, onion, and pepper to the potatoes in the bowl. 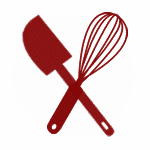 Beat with an electric mixer to combine or smash with a potato masher, leaving plenty of fluffy potato bites in the mix. Stir in half of the sliced green onions. Transfer to an 8-inch or 2-quart baking dish. Spread in an even layer. Top with the remaining cheese and bacon. Bake for 30 minutes, until the cheese has melted and the potatoes are bubbling with little pools of butter. Remove from the oven and stir gently, to mix the melted cheese through the potatoes. Sprinkle with the remaining green onions and serve warm with potato chips. 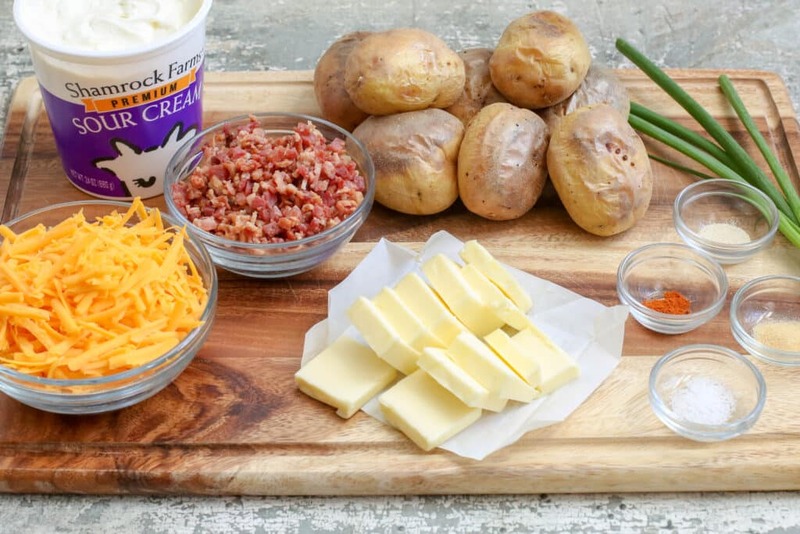 Fluffy potatoes, cheese, sour cream, butter, and bacon combine to make the best party dip you've ever tasted! Remove from the oven and stir gently, to mix the melted cheese through the potatoes. Sprinkle with the remaining green onions and serve warm with potato chips. Enjoy! Feel free to substitute cooked and crumbled bacon for the real bacon bits listed in this recipe. For the easy of the recipe, I typically reach for the bacon bits that are always in our refrigerator. Disclosure: I’ve partnered with Shamrock Farms to share this information with you. As always, all thoughts and opinions are my own. 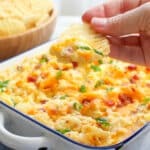 How can it be that I've never had potato dip????? This looks insanely good.